The ECREA 2018 International Organising Committee has decided to extend the deadline for submissions to the 7th ECC. Submissions can be made until Friday, March 2 2018, midnight. We hope that soon an agreement that values and acknowledges the work of academic staff will be reached. The ECREA 2018 Local Organising Committee aims to put working conditions in academia on the conference agenda and to use the 7th ECC as an arena to debate this issue. We wish we could do more! José van Dijck is Distinguished University Professor at the Utrecht University (The Netherlands). Lina Dencik is Senior Lecturer at Cardiff University’s School of Journalism, Media and Culture (JOMEC). Proposals for individual papers, panels, and posters can be submitted to one of ECREA Sections, Temporary Working Groups and Networks through the ECREA 2018 submission platform until 28 February 2018. The deadline for submission of book proposals for Wave 15 of the Routledge Studies in European Communication Research and Education Series has been extended to 2 March 2018. The Book Series aims to provide a diverse overview of the work of ECREA working groups and individual members, showcasing diversity of topics and areas within the field of contemporary media and communication research and addressing this diversity from a variety of interdisciplinary perspectives. The Book Series has two main objectives, the first one is the promotion of European media and communication research. We are, therefore, seeking proposals, which have a strong European dimension either by virtue of inclusion of regionally and ethnically diverse voices and cases, or by virtue of comparative research. Proposals can include a limited number of authors who are not ECREA members provid insights beyond European perspective (see details below). The Book Series' second aim is to promote collaborative research, especially between our members. Proposals resulting from collaboration between ECREA Sections, Networks and Temporary working groups are particularly encouraged. The edited volumes of the Book Series aim at providing a diverse overview of the work of the ECREA members. At the same time, a degree of openness towards non-ECREA members is also considered to add value to the Book Series. Please note, that at least 50% of the chapters need to originate from ECREA members (individual members, or members through an institutional membership). For the same reason, at least one of the editors needs to be an ECREA member. Monographs or contributions from a limited number of authors or authors based at the same institution will not be considered. ECREA Executive Board members cannot be editors of the books in ECREA book series, but can serve as authors of the chapters, while the Book Series editors cannot contribute to the content of the books in the ECREA book series in any way. HOW should one submit a proposal or manuscript? Proposals are submitted using Book Series form. Only this form can be used for submitting a book proposal; applications that do not use this form will not be considered. Please note that the proposal should include a detailed abstract of each chapter. Should you have any further questions concerning the Book Series call, please email Wave 15 Series Editor Galina Miazhevich at info@ecrea.eu. If you have problems accessing the documents, please email Wave 15 Series Editor Galina Miazhevich at info@ecrea.eu. We are pleased to announce that ordinary General Assembly of ECREA opened on Monday 11 December and will close on Friday 15 December 2017. The General Assembly deals with a number of very important issues, such as vote upon the ECREA Bylaws Amendments and vote on update of the membership fees. Please note that only individual members and institutional coordinators are entitled to vote. If you are a member through an institution, you do not have the right to vote but need to communicate with your institutional coordinator. If you do not know who your institutional coordinator is, please ask ECREA’s General Secretary Irena Reifová (generalsecretary@ecrea.eu). In line with our Statutes, each individual member has one vote and each coordinator of an institutional member holds five votes. All documents concerning the General Assembly are available to all members in the document archive of ECREA website (member login required). First , the conference examines the issues of “core” and “margins”, inviting scholars to stretch the boundaries of media and communication research as an academic discipline. We welcome presentation of research that seeks to take communication and media studies to new territories and new fields of application. Second , the key conference theme of centres and peripheries means reconsidering geographical, cultural and linguistic borders or boundaries. Many areas of media and communication research have been dominated by American and European scholarship, but these traditions can learn methodological and theoretical insights coming, for example, from Asian, South American and African research. In this regard, as the subtitle of the conference emphasizing “translation” suggests, this also requires re-examination in the continual dominance of the English language in academic affairs. There is no doubt that the English language has become the lingua franca in the scientific community, allowing scholars from different countries to communicate and to access each other’s work. Nevertheless, the English language-centrality needs to be questioned and discussed in a plurilingual setting such as the Swiss context and, in particular, when findings in other languages are marginalized, considered peripheral or less important. This is why special panels addressing this topic will be organised during the conference. The Series Editors Ilija Tomanić Trivundža, Christina Holtz-Bacha and Galina Miazhevich invite the submission of book proposals for the Routledge Studies in European Communication Research and Education Series. Proposals are to be sent to the series editors by email to info@ecrea.eu by 15 January 2018. DEADLINE EXTENDED: 2 March 2018. Since the early 1990s, the Doctoral Summer School (http://comsummerschool.org/) has brought together a group of highly qualified doctoral students as well as senior researchers and professors from a diversity of European countries and beyond. Over the course of nearly two and a half decades, more than 500 doctoral students received valuable feedback on their doctoral research projects by experienced lecturers. Since 2006, the Doctoral Summer School consortium has also been producing a yearly peer-reviewed edited volume, as part of the Researching and Teaching Communication book series, ISSN 1736-3918 (print) & ISSN 1736-4752 (online) - see http://www.researchingcommunication.eu/. In 2018, the thirteenth book will be published, comprising up-to-date chapters by the Doctoral Summer School lecturers and doctoral students of the year 2017. It will be edited by Laura Peja, Simone Tosoni, Maria Francesca Murru, Nico Carpentier, Fausto Colombo, Richard Kilborn, Leif Kramp, Risto Kunelius, Hannu Nieminen, Tobias Olsson, Ilija Tomanic Trivundza and Pille Pruulmann-Vengerfeldt. As our calls for Alumni chapters were very successful in recent years, it is our pleasure to announce that we will again include three chapters of former Doctoral Summer School participants in this edited book. 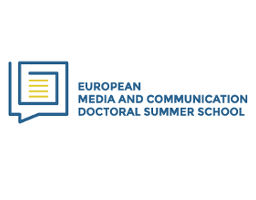 Doctoral Summer School Alumni of all previous ECREA Summer Schools are now invited to submit abstracts for proposed chapters, to be reviewed and considered for publication in the 2017 SuSo book. Invited are chapter proposals by scholars who have participated as PhD student in one of the annual European Media and Communication Doctoral Summer Schools at the University Stendahl, Grenoble (1992-96), Complutense University of Madrid (1997), University of Lund (1998), Westminster University (1999-2003), University of Tampere in cooperation with University of Helsinki (2004), University of Tartu (2005-2009), University of Ljubljana (2010-2012), University of Bremen (2013-2015) or at the Università Cattolica del Sacro Cuore, Milan (2016). • the title of your doctoral research project that was discussed at that summer school. The extended abstracts will be reviewed, and three of them will be selected. Chapters are up to 4,000 words (including references). Collaborative work is encouraged. ECREA is opening a call for proposals for the hosting and organisation of the 2020 edition of the European Communication Conferences. The first European Communication Conference took place in Amsterdam in 2005; the second in Barcelona in 2008; the third in Hamburg in 2010; the fourth in Istanbul in 2012; the fifth in Lisbon in 2014; the sixth in Prague 2016 and the 7th will be held in Lugano in 2018. These conferences are major opportunities to show the know-how and the activities of the organising institution(s) and to foster the energy and creativity of the organisers around a large international project. 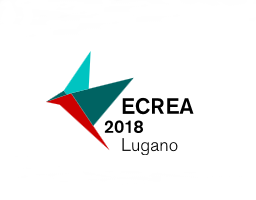 The Executive Board of ECREA has developed a framework document – Terms of Reference to define the format and give guidelines for the organisation of such a conference. Terms of Reference document is available here. Interested members are asked to submit proposals for hosting the 2020 European Communication Conference. The institution hosting the Conference has to be active in the field of communication research and/or education and have sufficient experience and sufficient capacity (staff and support) to prepare and run the event. The proposal for hosting the 2020 European Communication Conference must take the form of a document where candidate host institutions will: 1) Describe their general vision of the event (including the location, timing, duration and their organisational capacity). 2) Explicitly engage themselves to meet ECREA's requirements described in the Terms of Reference for Organising ECREA’s 8th European Communication Conference 2020 and provide the basic information regarding the way their proposal will meet ECREA's requirements. 3) Propose a draft financial plan. 4) Sketch out the strengths and weaknesses associated with the proposal. Please note that more than one institution can join forces and present a conjoint proposal, as long as they are in the same geographical area. Proposals must be submitted by Wednesday, 15 November, 2017. The proposals must be sent by e-mail (attachment in .doc, .docx, .rtf, or .pdf format) to ECREA's General Secretary Irena Reifová (generalsecretary@ecrea.eu). The ECREA Executive Board will then select one institution to act as local host, and possibly one runner-up to step in, in case the selected host encounters unforeseen difficulties. ECC conferences are normally held in October-November (unless the local host argues otherwise). The selection of the host for the conference will be decided upon at least two years prior to the event. - 30 June, 2017: the call for applications is open. Each candidate-host turns in a summary project describing how they see the event, where, how, etc. - 15 November, 2017 : the call is closed. The Board considers applications and selects one which complies with all criteria, including the strategic priorities of the Board. Contacts are made with candidates for further information where necessary. 15 January, 2018: The Board announces the selected host institution to all institutional members that have applied. The selected institution is asked to develop a full organisational plan in close cooperation with ECREA’s Board. The full plan is to be ready by end of April 2018. If appropriate, the Board also selects a runner-up institution to host the conference should the selected institution be unable to deliver. April, 2018: The Board examines the full proposal and decides on its approval. If the plan is approved, the announcement is made public. If not, organisers are given one more month to fine-tune the proposal (with assistance of the Executive Board). 31 October–3 November, 2018: the ECC2020 conference host is announced at ECC2016 in Lugano. October – November, 2020: ECC2020 takes place. For any inquiry, please contact ECREA's General Secretary, Irena Reifová at generalsecretary@ecrea.eu. We are sad to inform you that one of the major figures of our field and ECREA Advisory Board member and former ECREA European Media and Communication Doctoral Summer School lecturer Denis McQuail has passed away on 25 June aged 82. The news of Denis McQuail’s death on June 25th 2017 will have deeply saddened many scholars and colleagues in ECREA. It is a tribute to Denis’ influence and the respect in which he was held that so many people, young and old, and in so many countries, will feel his loss and have benefited from his many personal and professional qualities. Denis McQuail met the standards of that old cliché ‘founding father’ better than almost anyone. Trained as an Oxford historian, he was awarded a PhD in social studies from the University of Leeds in 1967 with a thesis entitled "Factors affecting public interest in television plays." His transition from social scientist to communications scholar was more or less complete. He was one of the first UK academics to move to a post in mainland Europe, and in 1977 he was appointed to the Chair in Communications at the University of Amsterdam, where he stayed until his early retirement in 1997. He then moved back to his home just outside Southampton and retained his academic links as a Visiting Professor in the Department of Politics at Southampton. Retirement for Denis was, of course, notional. As a note to his friends from his family pointed out “was still scribbling notes and thoughts on the back of envelopes and scraps of paper relating to academic theory right up to the end”. Denis McQuail’s achievements are legion. One signal example is ‘uses and gratifications’. It is now a platitude that we should examine what people do with media not what media do to them. This truism became the demarcating mantra of uses and gratifications research, but refining and operationalising the idea took a lot of work. Denis was perhaps not one of the originators of the concept, but his work was central in its refinement, constructive critique, and development. We now see political communication, and the role of television especially, in politics, as a familiar concern at the heart of our field. Denis McQuail's work with Jay Blumler and with Joseph Trenaman was seminal in this field. Television and the Political Image, which studied the 1959 general election in the UK, established many of the key tenets and insights for political communication research in the succeeding decades. When his study with Jay Blumler, Television in Politics, appeared in 1968 the Journal of Communication said that “the researcher interested in television and politics could hardly ask for more”. Denis McQuail was also one of the clearest and most helpful of guides. In Communication Models, first produced with Sven Windahl in 1982, page after page of lucid exegesis and explanation of the many competing models somehow dissolved the fog; as an example of how to generate a lot of insight in a short space it was, and is, invaluable. As a founding editor, with Karl-Erik Rosengren and Jay Blumler, of the European Journal of Communication, Denis launched what was to become, and still is, a key shop window for so much that is best in scholarship and research in our field. The EJC, however, is not Denis’ only legacy to the development of European media research. He was a key and founding member of the Euromedia Research Group for whom he wrote extensively and helped form debates about media policy in Europe and comparative analyses within Europe of questions of media concentration, commerce and politics. Denis is perhaps best known as a codifier of our field, providing generations of students and scholars alike with authoritative and phenomenally widely read overviews of writing and research in the field. This, as anyone who has written, rather than simply avoided writing, a text book will know, is an extraordinarily difficult task, and we are fortunate in being in a field where the best known text is the work of someone who is a master of the genre. Mass Communication Theory is now in its 6th edition, and is rightly titled ‘McQuail’s Mass Communication Theory’. It was first published in 1983, subtitled “an introduction”, and ran to a modest 245 pages, compared to the daunting 621 pages of the current edition. The book reigns supreme, and is almost certainly never to be paralleled, not just in our field but as a guiding and insightful text for any field in the social and human sciences. 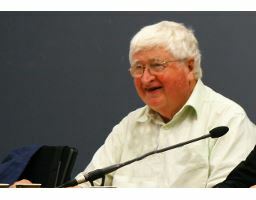 It is important to recall that even before Mass Communication Theory became the central and unique text that it is, Denis McQuail provided a number of original and defining texts which reviewed, codified, and summarised in a characteristically elegant and helpful way, the range of work in our field. His overview volume Towards a Sociology of Mass Communications, published in 1969 and the collection he put together in Sociology of Mass Communications which came out in 1972 were both seminal in forging the field, then so rudimentary, in the UK. At some distance now we can see not only how original these books were but also how what in retrospect looks easy to accomplish was achieved when no clear oversight of the field existed, and in that sense their originality and influence are immense. Denis McQuail was so very much more, however, than a summariser and text book master. He always readily put his scholarship and analytical skills to work in assessing media performance and conduct, and his involvement in normative analysis should not be overlooked. His analysis of press content conducted for the 1977 Royal Commission on the Press in the UK remains one of the most thorough and indicative of its kind. As a comprehensive and comprehensible, socially and politically relevant, empirically sound analysis of what the British press provides it remains foundational. But over the years and in a number of publications he further explored the many complexities of assessing media performance. Whether writing on media policy generally or the more profound questions of how we should assess the role of the media, he made insistently clear the need for analytical rigour in addressing questions of media power and influence. These are massively important contributions. In reviewing Media Performance Everett Dennis wrote that “When a short list of the most important books on communication media in the last half of the twentieth century is drawn up at some future date, I would not be surprised to see Dennis McQuail’s Media Performance at the top”. His analysis of the core dimensions of media performance remains unsurpassed. As he wrote, “Without accountability communication is simply one-way transmission, limited in purpose, lacking response, guidance, or even known effect”. But as important as these writings and contributions are, many in the field will remember Denis best for his personal qualities. He was the most charming and amusing of companions, and endlessly generous in support, advice and help to younger colleagues and peers alike. Denis was a great traveller. Many would recall, with frustration, the experience in coming down to breakfast at a conference hotel, to see Denis McQuail, thinking they had got one over on him by saying they’d discovered a wonderful and unexpected local beauty spot – only for Denis to say, as he always did, “yes I walked up there yesterday, it’s really good”. Denis’ importance in our field cannot be overstated. His loss is devastating for all who knew him and recall his many kindnesses, as well as those, who even if they never met him, have so benefitted from his outstanding scholarship and tireless analysis. Our field has lost a master of research and thought, and many of us within it have lost an irreplaceable friend and colleague. We are pleased to announce that the 2017 ordinary General Assembly of ECREA has closed. Between 12 and 16 June, 103 members and institutional coordinators participated in the online General Assembly, casting total of 203 votes. All items were confirmed, suggestions under Any other business will be put forward to ECREA Executive Board and addressed at the next General Assembly in November 2017. Approve 188 votes; Do not approve 0 votes; Abstain 15 votes. Approve 186 votes; Do not approve 0 votes; Abstain 17 votes. Approve 176 votes; Do not approve 5 votes; Abstain 22 votes. Approve 182 votes; Do not approve 5 votes; Abstain 16 votes.